These Toasted Coconut Clusters are a new new Costco addiction. 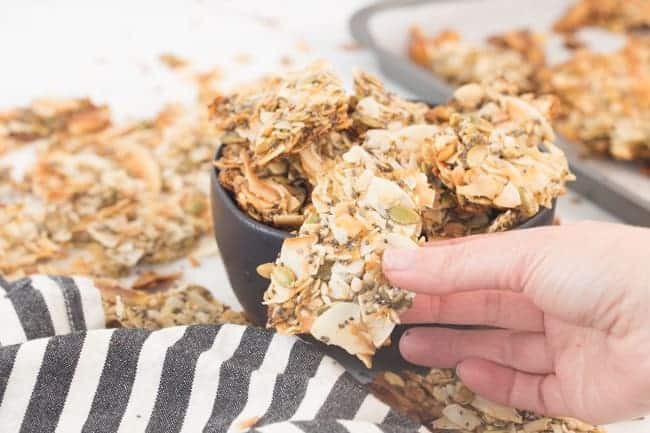 Now make them right from home and have a healthy snack in minutes! If you make this recipe, be sure to post it on your Instagram and tag me @happyfoodholly #happyfoodhealthylife so I can highlight your creation on my IG Stories! Have you been following along with me on Instagram stories? 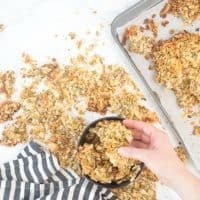 If so, you probably aren’t surprised at all to see these Toasted Coconut Clusters making an appearance as my latest and greatest obsession. In fact, if you know anything about me at all, you know that coconut is high on my list of favs. Fav flavor. Fav scent. Fav everything. Hence the Coconut Truffles, my Vegan Coconut Cream Pie, and the Chocolate Coconut Pie … I’m obsessed. So when we were prepping for our little spring break getaway to Southern Utah with a little stop at Costco to pick up my new favorite flip flops, it should be no surprise that Coconut Clusters ended up in our cart. I, on the contrary, was a little annoyed. I am a little bit of a shopping list nazi. If it’s not on the list, we don’t put it in the cart. And only the necessities end up on the list. Only the things we came for. It’s how I save money. It’s how we got out of thousands of dollars of debt in just a year. Not buying extras. So when we made our way over to the checkout with our flip flops and dog food in cart and eyed these toasted coconut munchies, two things happened. I moved right along. Yes, coconut is my favorite. But impulse buying is not. Wife started begging. She insisted that I could not deprive myself of these coconut cluster noms. I said no probably 10 times. I was not having it. I’m telling you, I’m ruthless when it comes to adding unnecessary items to the cart just because they look and sound good. But then somehow she got me. Have you tried these toasted coconut goodies? They are perfect in all ways. Crunchy coconut toasted to perfection. Clustered with different seeds and just a little bit of sweetness. The ingredient list is super short and simple. So simple, in fact, that I was able to recreate them at home! That’s a huge feat for me. Recreating a recipe from something I’ve tried at a restaurant or a bakery is not my forte. That just goes to show that this recipe is in fact super simple. Seriously, if I can do it, you can do it. 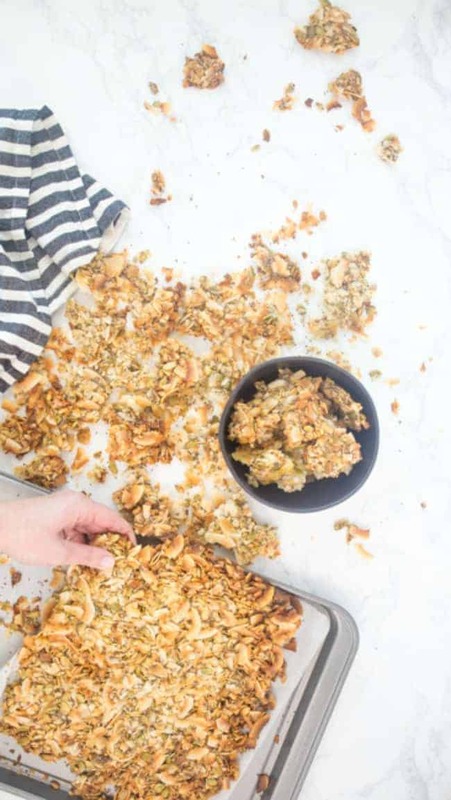 Things you need to know about making these toasted coconut clusters. If you don’t watch them carefully in the oven, they will probably burn and you will hate life because your whole house will smell gross… and you will have wasted ingredients. You can sub in your favorite sticky sweetener. Don’t like brown rice syrup? Use something else. Honey. Agave. Maple syrup. Different sweeteners will give you slightly different results though. After baking, once cooled, using a different sweetener may result in a more chewy cluster and not a crunchy bite. Totally up to you – just fair warning. The amount of sweetener can be adjusted to your liking. All the matters is that it covers and coats your ingredients so they stick together well. 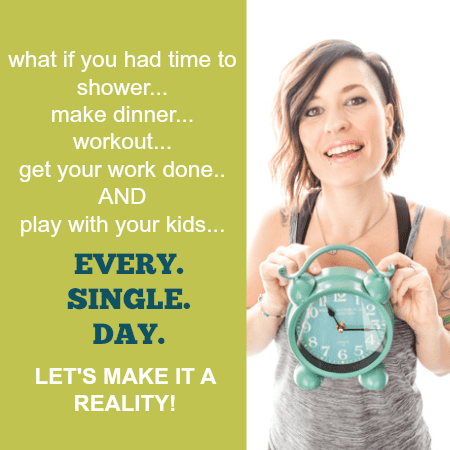 Also – if you want to add more or different seeds and grains, be my guest! No one’s stopping you. Oh and hey! Are you a visual learner like I am? Check out the video I make of these coconut clusters so you can see just how easy the recipe is. And here’s the printable recipe for you to make them right away at home. Be sure to bookmark this recipe in your browser so you can have it available whenever the craving hits. These toasted coconut clusters are a copycat from a Costco favorite. Perfect for snacking. Great on top of yogurt and ice cream. In a large bowl, pour in coconut chips, pumpkin seeds, sunflower seeds, chia seeds, and coconut sugar. Combine completely. Add in warmed brown rice syrup and toss to coat all ingredients. Pour fully combined mixture on a parchment-lined baking sheet. Press down in a layer about 1/2" thick. You may find that 2 smaller baking sheets is better than trying to get it all to fit on one sheet. Once mixture is pressed down firmly, bake in preheated oven for 10-12 minutes until coconut is browned and toasty. Watch carefully, as the coconut does have a tendency to cool quickly and burn while you aren't watching. Pull out of the oven and let cool completely before breaking pieces apart. Store in air-tight container for 1-2 weeks. Hi there! Love the recipe! However, the baking temperature is TOO high for using honey. It began to brown deeply at 6.5 minutes. My oven is spot on. So I recommend cooks to try preheating to 315 – 325 degrees for 8-10 minutes and check it.